Capcom's long-running Ace Attorney series has been popular on the Nintendo DS and 3DS, and we're slowly starting to see some of the titles arrive on Android. Apollo Justice: Ace Attorney was released for Android and iOS last year, almost nine years after the original DS release. Apollo Justice's sequel, Dual Destinies, will soon be available on Android as well. Note: The above trailer is for the 3DS and iOS ports. Dual Destinies takes place a year after Apollo Justice, where the player takes the roles of three defense attorneys - Phoenix Wright, Apollo Justice, and Athena Cykes. Like most Ace Attorney titles, gameplay is split between investigations (searching for evidence, talking to witnesses, etc) and the trials. As you can probably guess, your goal is to ensure your client is found not guilty. 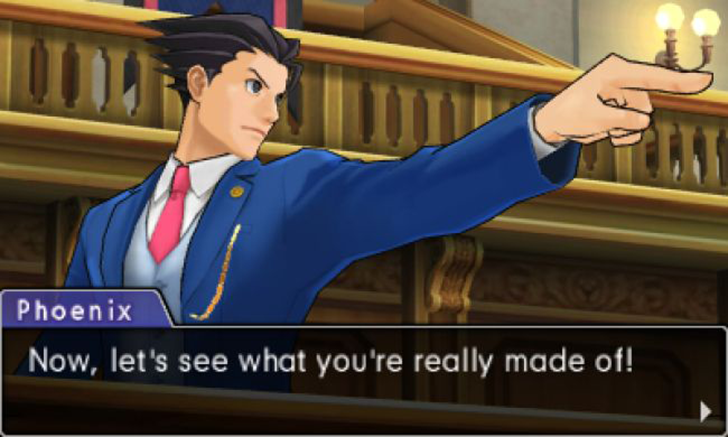 Dual Destinies was the first Ace Attorney game to use 3D graphics instead of just 2D images, and received mostly positive reviews from critics at the time. It was released for the 3DS in 2013 and for iOS the following year, but better late than never, right? Capcom hasn't released any footage or screenshots yet of the Android port, but it's probably safe to assume it will look similar (if not identical) to the iOS version. No release date was revealed either. LOS ANGELES, CA--(Marketwired - May 16, 2017) - Capcom, a leading worldwide developer and publisher of video games today announced Phoenix Wright: Ace Attorney - Dual Destinies for Android devices. The fifth chapter of the courtroom drama is expected to release later this month. The game sees the return of courtroom hero Phoenix Wright. Set eight years since his last appearance in the courts, the first case in Phoenix Wright: Ace Attorney - Dual Destinies sees the action start in badly damaged courthouse. It's down to Phoenix Wright and his team at the Wright Anything Agency to discover the cause of the destruction. Players will have to battle it out in court against tenacious prosecutors as they defend the accused. The much loved gameplay and features from previous titles in the Ace Attorney series return with 3D graphics, bringing the courtroom and characters to life and putting players directly in the heart of the action. Players will need to investigate each crime scene with dynamic 3D visuals, making it possible to change views and zoom-in on areas to uncover any hidden evidence or clues. The drama continues in the court room as players present their evidence, challenge witnesses and begin to unravel the truth behind each of the cases in Phoenix Wright: Ace Attorney - Dual Destinies. Joining Phoenix is the young attorney Apollo Justice and new associate attorney Athena Cykes. Athena's unique ability to psychoanalyse witnesses introduces a brand new element to proceedings. Using Athena's 'Mood Matrix' players can detect the emotional state of a witness and tell whether they're surprised, angry, happy or sad. Players can compare these feelings with the statement given by the witness, point out any contradictions between the two and challenge the witness testimony. For more information, please visit our press page at www.press.capcom.com. Capcom, Ace Attorney, Resident Evil, Mega Man, Monster Hunter and Devil May Cry are either registered trademarks or trademarks of Capcom Co., Ltd., in the U.S. or other countries. Street Fighter is a registered trademark of Capcom U.S.A., Inc.